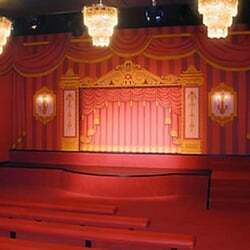 Pinocchio’s currently offers touring string marionette and hand, hand-and-rod, and other puppet productions. Feel free to contact us with questions and show booking requests for Pinocchio’s Marionette Theater (Puppet Celebration, Inc.) by completing and submitting the simple form below. Also, as a not-for-profit organization, we are grateful for all tax-deductible support received through the easy, online credit card and PayPal Donation button found on this website. Thank you!